The story I’m referring to is Viet Thanh Nguyen’s piece in the New York Times entitled, “The Three Words We Cannot Say.,” He is an author and columnist who commented on Sandra Oh’s Golden Globe acceptance speech for her role in Killing Eve. As she clutched her award, Ms. Oh said “I love you,” in Korean to her parents who were seated nearby. These expressions of love are powerful. And wordless. How would you characterize your love’s expression? Nguyen’s description of love as sacrifice rang true for me even though I am a 4th generation American with an Italian last name that conjures thoughts of the Cinque Terre or lobster raviolis. I grew up in the 1970’s with a generation of parents whose singular focus was, ‘to educate the kids.’ Far from refugees, my parents both had college degrees in science; my dad held several US patents and my mom taught nursing at the college level. Even with this established backdrop, sacrifice as an expression of love rings true for me. I wonder if sacrifice and love intersect because of something to do with gender or generations or families or even our American culture? I am not sure. What is important here is not whether your expression of love aligns with a sacrificial model or not. What is important is that we take the opportunity to recognize ‘how’ we express love. And to whom? Tell me, is your name on the list? Transition has reminded me again and again about how difficult it can be to love ourselves. To fiercely accept who we are – in every situation, in every context. Fierce acceptance is the courage to be who we are in our entirety; ‘model’ or not. Here is one thing I am absolutely sure of: you are loved. For who you are. Not only when you get back down to a size 2, or when you land your next promotion, or when you can count on the loving gaze of another. You are loved – today – in all of your entirety. Without exception. This Valentine’s Day, I hope that the truest expression of love that you recognize is your own heart’s bold embrace of all that you are. Who knows. Maybe this recognition will even be accompanied by a few words we typically cannot say to ourselves. 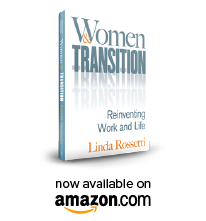 This entry was posted in Observations on Transition and tagged career change, career transition, divorce, empty nests, job loss, retirement, transition, voice, Women and Transition: Reinventing Work and Life, work family balance. Bookmark the permalink.